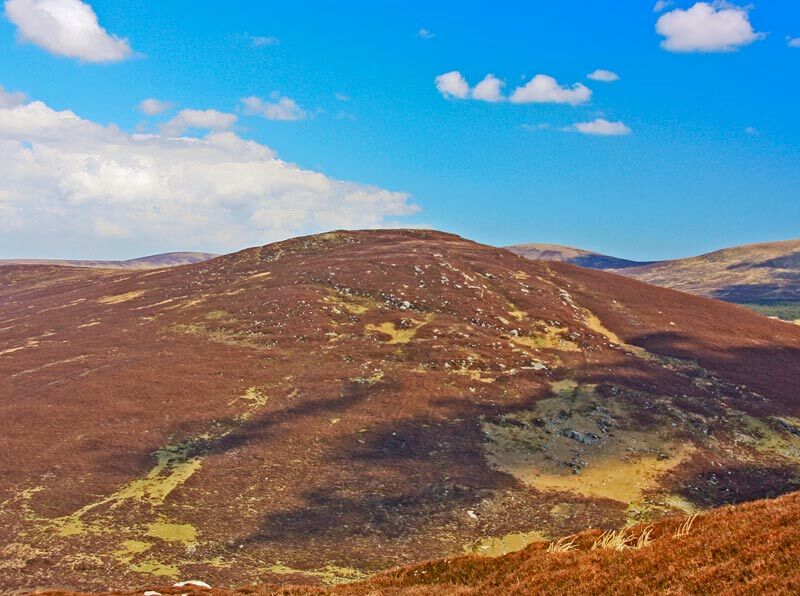 Picture from simon3 : Luggala from the south. Picture: Luggala from the south. The more ordinary southern side. Usually Luggala is photographed showing off its dramatic eastern aspect plunging into Lough Tay. Here however is its southern side from Knocknaclohoge showing the quiet Cloghoge valley. Climbing to Luggala on this side is an exercise in finding your way through heather on boggy tracks.